“Mommy Makeover” Specials on CoolSculpting and Cellulite Botox Day Tuesday Feb. 19 - Dr. Peter J. McKenna M.D. Mused after reading an article that referenced Truman Capote’s Breakfast at Tiffany’s which starred Audrey Hepburn. Her character, Holly Golightly, feels Tiffany’s is where “nothing very bad could happen to you.” What place makes you feel safe and happy? A “Mommy Makeover” is an improvement of the appearance of breasts and abdomen at the same time. It can be done shortly after a last child is born or years later depending on circumstances. The important thing is to feel better about yourself and the way you look in and out of clothes. The breast improvements may involve implants, a breast lift, both implants and lift or occasionally a reduction. 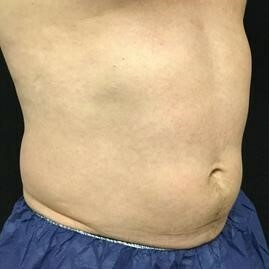 The abdomen can be improved through tummy tucks or liposuction. Often times we do liposuction in addition to the tummy tuck. 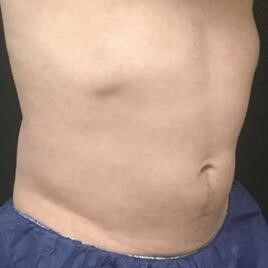 There is also a variety of tummy tucks depending on what needs improved. The advantages of doing surgeries together are less recuperation, downtime and money (we discount the surgeon fee on multiple surgeries by 10%). Of course there is a limit to the amount of surgery or liposuction we will perform since safety is our most important concern. CoolSculpting Special: Today is the beginning of Allergan’s special in conjunction with Brilliant Distinctions. Those with a Brilliant Distinction’s account with Allergan will automatically receive an email with the coupon to save $200 on 6 cycles (a cycle is one spot treated), $300 off 8 cycles and $500 off 12 cycles. Call for details. Cellfina, www.cellfina.com, is the only FDA-cleared minimally invasive procedure clinically proven to improve the appearance of cellulite for at least three years. The best candidate has dimpling that is not caused by loose skin. The benefits are a long-lasting, single, in-office treatment that usually takes under an hour. No general anesthesia is needed and downtime is limited in most cases to the day of treatment. 96% of patients were satisfied after two years. The cost normally is $4,000-$6,000 but the special price is $3,000 for a limited time. Call 513-793-5772 for a complimentary consultation or more information. The article I read under Musings included a recipe from Williams Sonoma. Brown 2 lbs. of chicken thighs remove and brown 1 lb. of chorizo remove. Sauté 1 onion and 1 red pepper sliced thinly. Then add 2 minced cloves of garlic for one minute. Add 28 oz. can tomatoes, 32 oz. of chicken broth and both meats. Simmer for 45-60 minutes until liquid thickens.